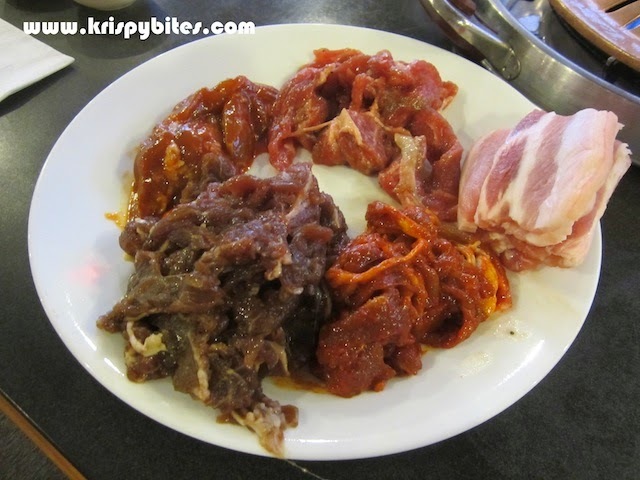 I was craving meat one night, so what better place to go than all-you-can-eat Korean BBQ? It's a good thing I don't crave meat often, because I was surprised by the $32/person price tag. 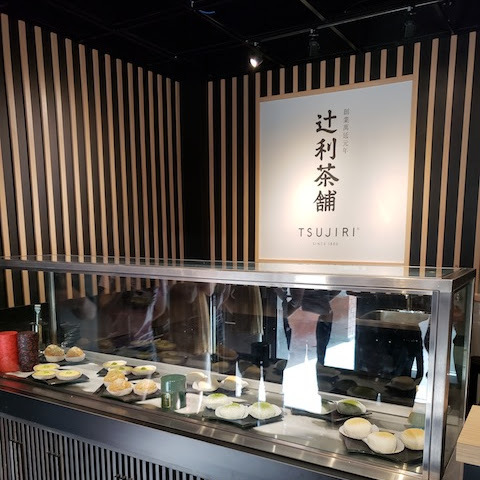 And according to new reviews on Urbanspoon, the price has gone up to $33/person. But at least that includes unlimited drinks (Pepsi, iced tea, ginger ale, green tea and coffee). 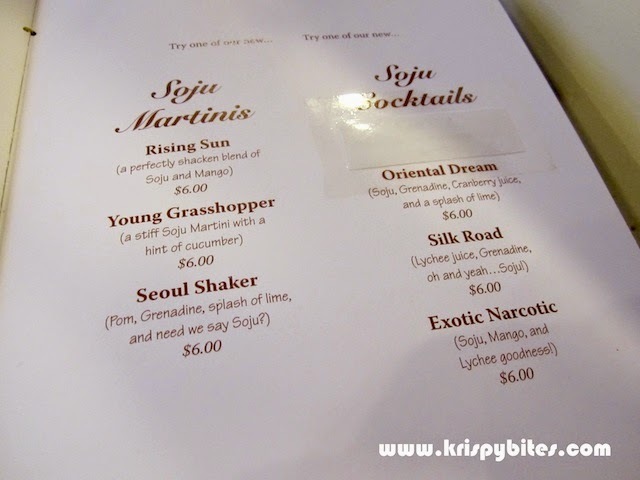 The alcohol menu had some interesting creations like soju martinis and cocktails. 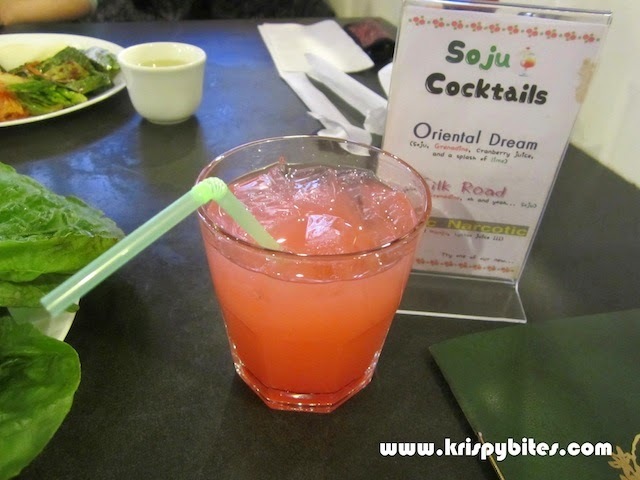 I ordered the Silk Road ($6), a blend of lychee and grenadine juice on ice with a splash of soju. It was a very fruity cocktail and I thought it was quite tasty. A bit too sweet, perhaps, but I enjoyed the flavour. 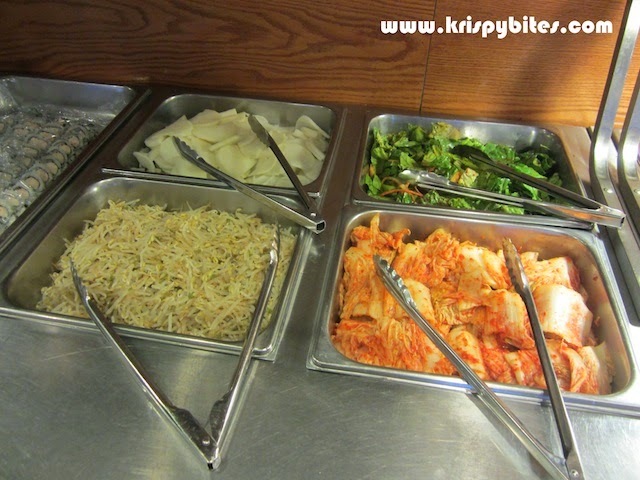 There was a small variety of cold dishes including kimchi, salad, bean sprouts, and radish. These were not done well and they all tasted rather bland. 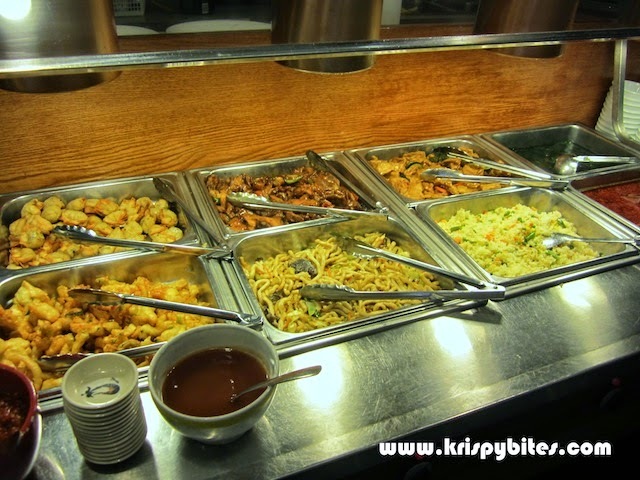 Hot food included fried rice, stir-fried noodles, two soups, two stir-fried dishes, and two deep-fried dishes. The vegetable fritters seemed to be the most popular, as I saw many customers take plate after plate. 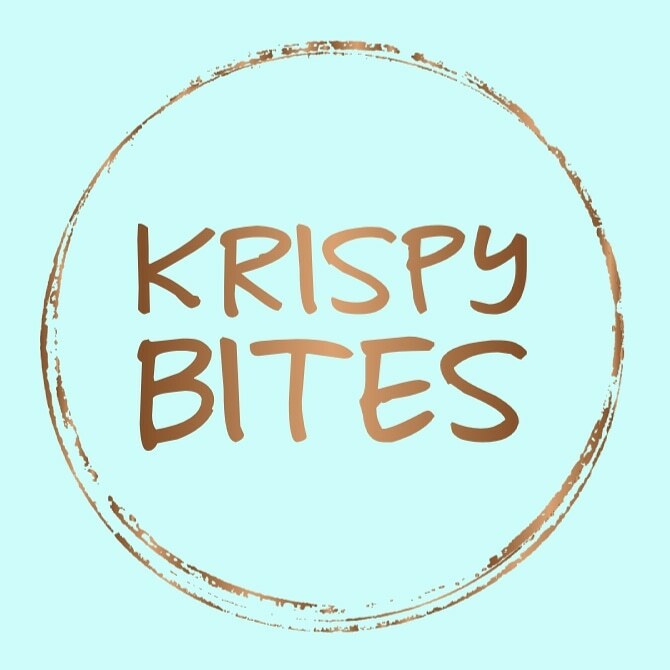 Indeed the fritters were quite good with a light and crispy batter and savoury veggies inside. This was actually the only item I enjoyed out of the bunch, but I also found it quite heavy and greasy. The seaweed soup was just a bit salty, but didn't have much flavour otherwise. The other bright red soup looked more like a sauce, and seemed much too oily to drink. 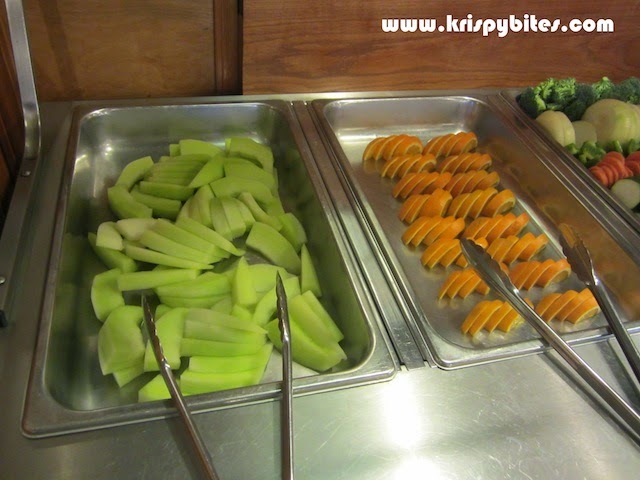 Interestingly, the buffet lineup also included a California roll. 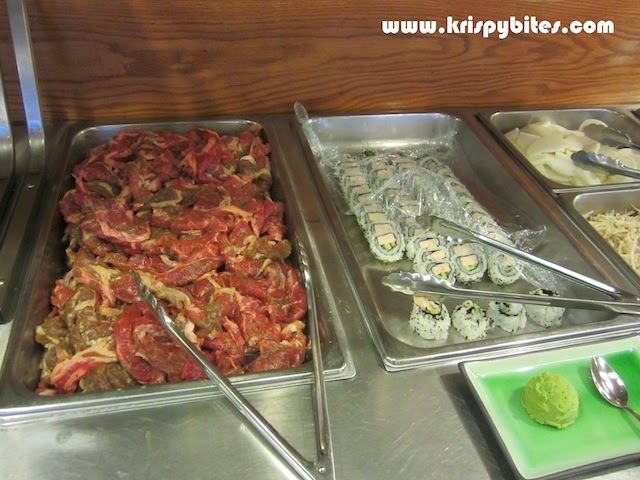 The sushi looked out of place beside a tray of raw meat, and I didn't dare try it out of fear of contamination. 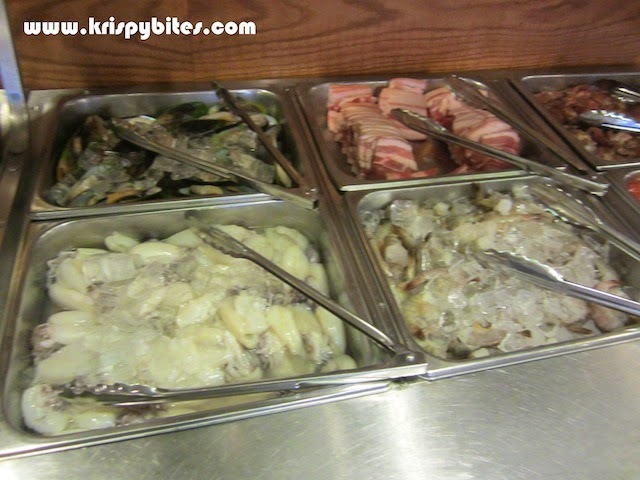 There were six trays of red meat and three seafood options (mussels, squid, prawns). 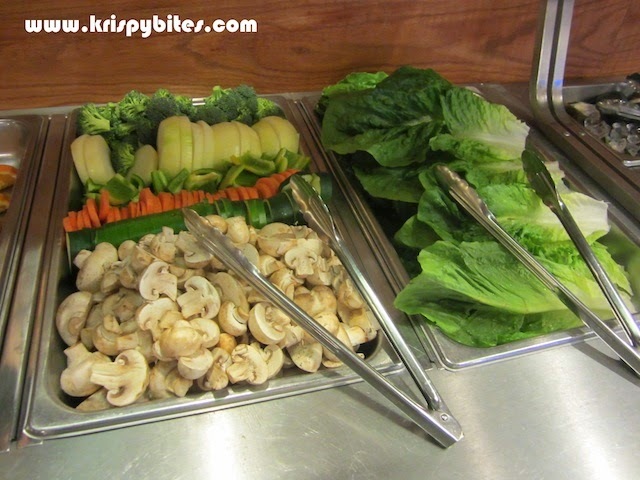 Veggie options were much more limited, with only mushrooms and onions for grilling and lettuce leaves for wrapping the meat in. 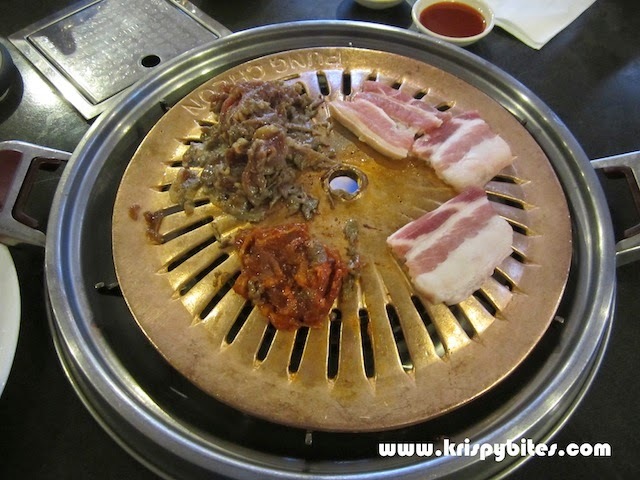 Korean dramas have taught me that the authentic way to eat barbecued meat is to wrap it inside a crisp piece of lettuce. Fresh orange and melon slices served as a refreshing dessert to complement the meat. This was truly a dining experience for the carnivore. 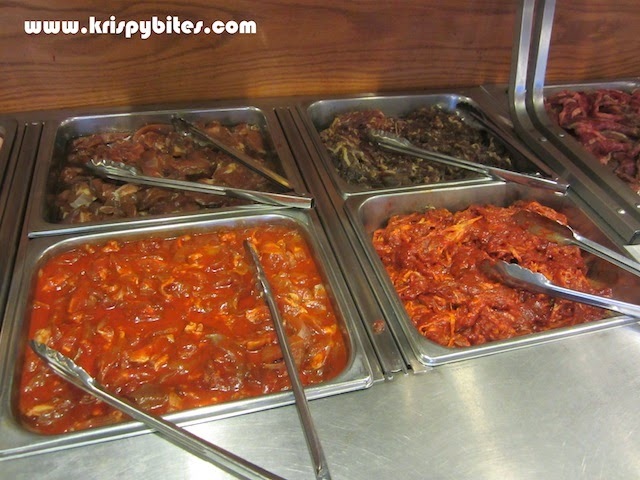 Korean hot sauce and sweet vinegar sauce were provided on the side, but all of the meats had already been seasoned and marinated, so extra seasoning was really not necessary. 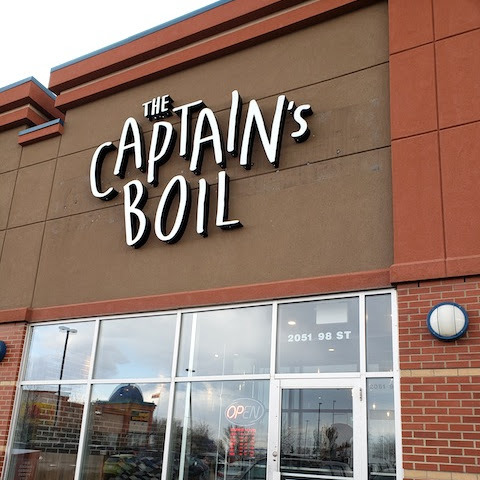 I personally enjoyed one of the spicy meats the most. 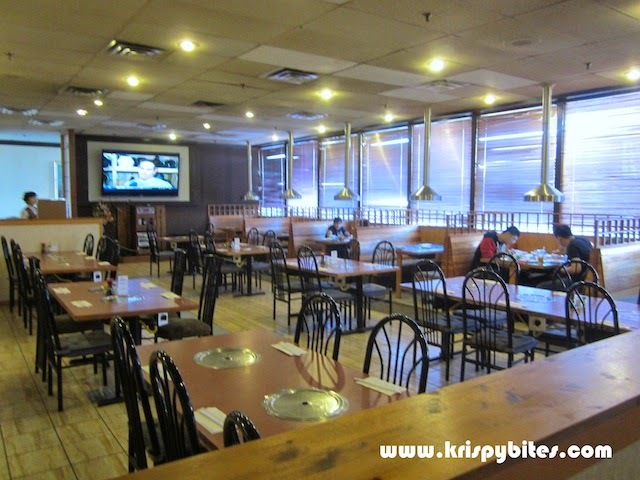 The staff were quiet and seemed a bit shy, but they were very prompt in replacing the grill once it became too charred. I think our grill was replaced 2-3 times during our meal. 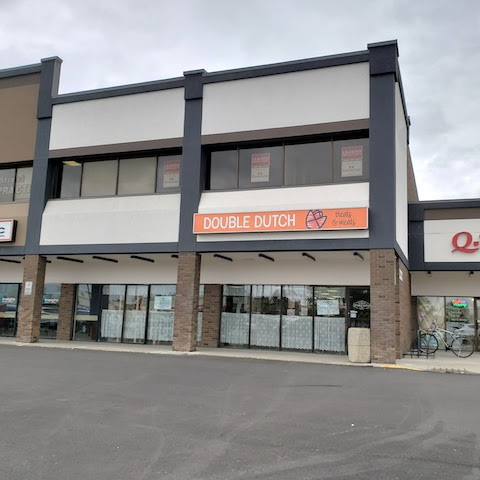 This place was not that great in terms of food quality, but I would enjoy hanging out here with friends, grilling meat and having a few soju drinks together.